ATM networks rely on the Virtual Circuit (VC) and Virtual Path (VP) concepts to provide unicast connection-oriented services with Quality of Service (QoS) guarantees. 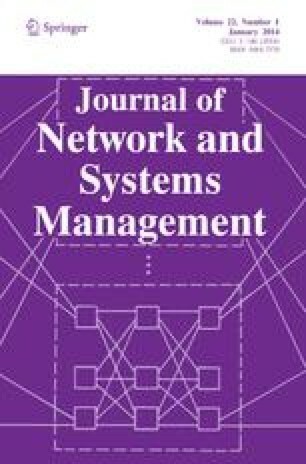 This paper presents a model for managing the configuration and performance of the VC and VP services in these networks. The model consists of a connection management architecture that provides the services and is instrumented for network management purposes, and a network management architecture that uses the OSI management model to provide access to the appropriate service monitoring and control functions. The network management architecture proposes complete managed object definitions that achieve a variety of monitoring and control objectives: service configuration, service performance at the call and cell level, and service control. The latter includes the capability to establish VPs and control their allocated networking capacity and also control parameters of the signaling system that affect the performance of the VC service. The architecture was implemented in its entirety on the Xunet ATM testbed, and several experiments were conducted to illustrate the trade-off between the throughput of the VC service and the allocation of capacity to VPs. The experiments further demonstrated that the signaling system can create throughput bottlenecks in the absence of VPs in the network, and therefore, the network operator can increase performance by controlling the VP distribution.